Project Size | 11-stories, 460,000 s.f. Existing architectural terracotta and masonry facades were damaged and leaking into the building interior. 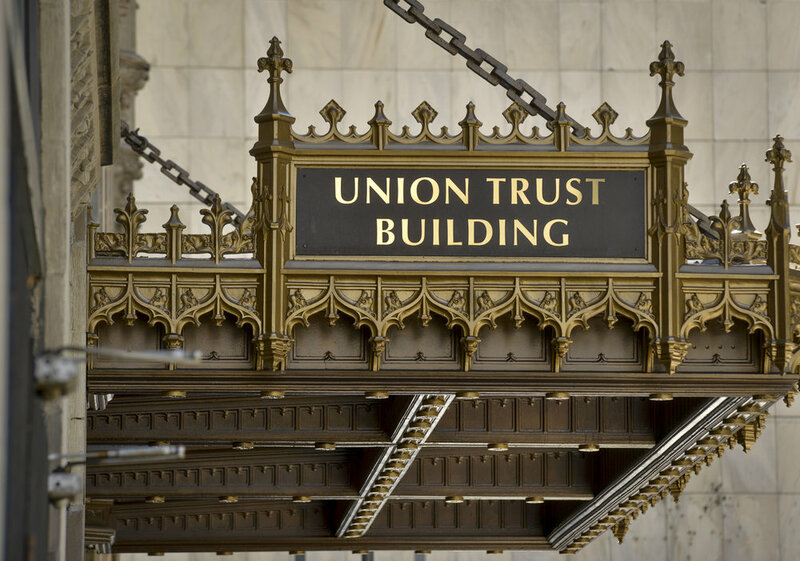 The Union Trust Building is a historical landmark in the heart of downtown Pittsburgh, PA. 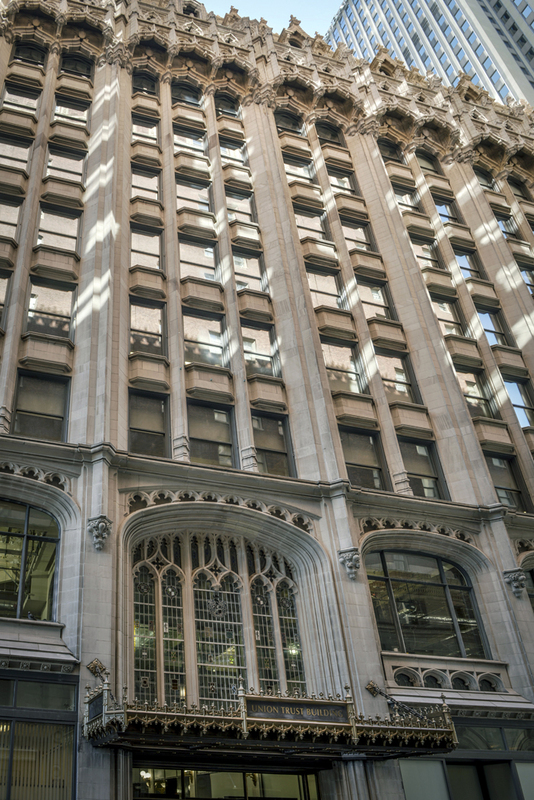 This 11-story building with precast concrete exterior façade and spectacular 4-story terracotta mansard roof was built in 1915. Working under the executive architect Perfido Weiskopf Wagstaff + Goetell, as the exterior restoration architect, Wessling Architects performed an extensive façade study focusing mainly on the intricately designed mansard, interior mansard windows and sidewalks along the exterior façade. 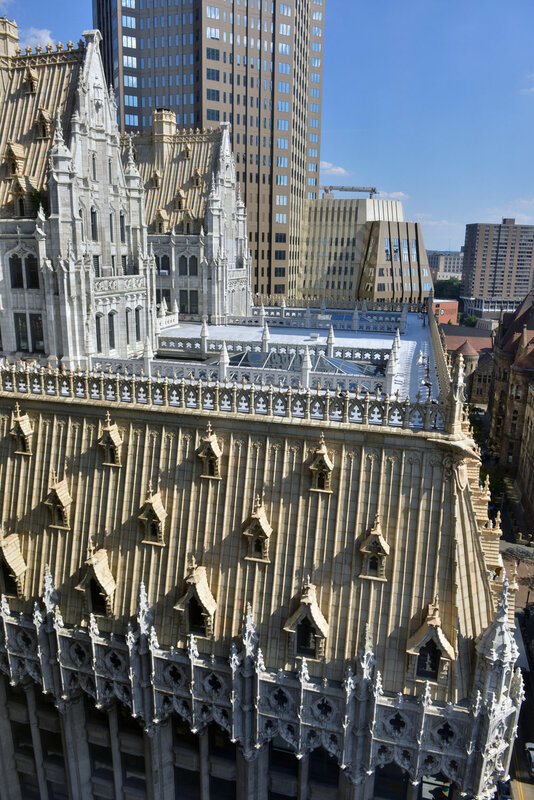 Reviewed all existing drawings and background documents, repair details including the waterproof flashing for each dormer and parapet, specifications and provided project management.